Happy Holidays y’all from New Orleans Style Fishing Charters . I’d like to take this time to thank everyone for coming out and fishing with me .November shaped up to be a great month of fishing, catching our share of red fish and speckle trout. It’s been a while since I’ve posted a report on here. Its not for a lack of action,but the lack of time to sit down at the computer to do so. My 7 yr old keeps my time pretty consumed in the evenings. So here I am to let y’all know we are still going out fishing and catching red fish and speckle trout daily. The cold fronts are starting to come more frequently and the temps have dropped a bit. Some times this makes the fishing a little tougher . I don’t give up easy and I accept the challenge of less than perfect weather. Attached are some pics of memories made in the last month Nawlins Style. If you don’t know what Nawlins Style is. Its fun action packed fishing for all with southern hospitality and good times. 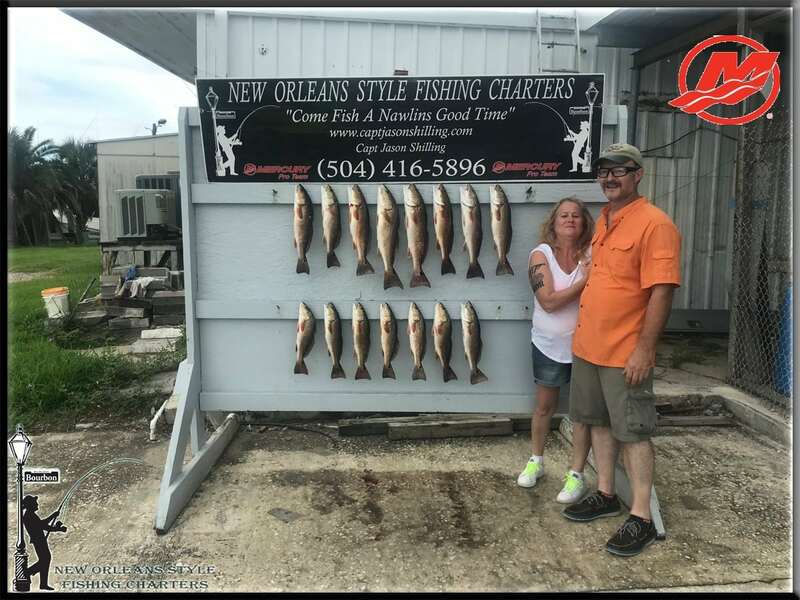 Fishing the back waters of New Orleans for red fish and speckle trout as well as a number of other species of fish these waters have to offer.